Eclectic Sound Bytes: Ballake Sissoko - At Peace. Ballake Sissoko - At Peace. Amid the recent political turmoil that has attempted to stagnate Malian society and culture, comes a beautifully dreamy album by Ballake Sissako called 'For Peace'. French cellist Vincent Segal who collaborated with Sissako two years ago on an album called 'Chamber Music' takes on the role of producer for this album, however he does play on a handful of tracks here too. 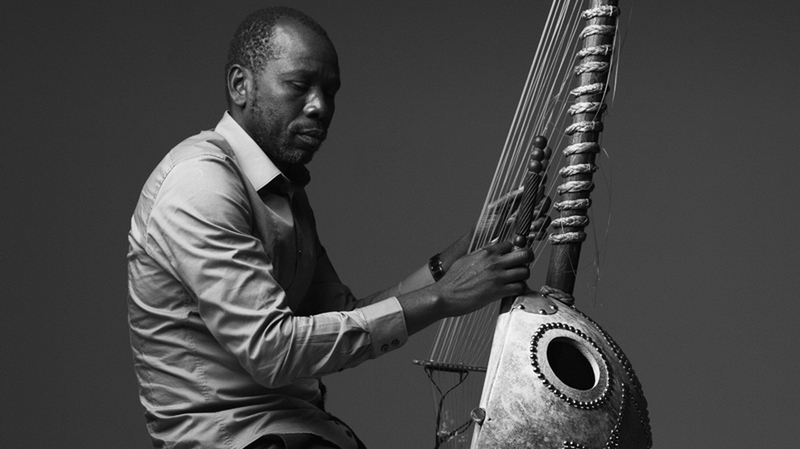 A master of the complex native African string instrument the kora, Ballake Sissako blends his playing elegantly with the accompaniment of 12 string guitar, cello and balafon (a wooden percussion instrument). This track entitled 'N'tomikorobougou' is one of the stand out pieces of this collection, recorded in the courtyard of his home in Bamako, Mali's capital in January 2011. 'At Peace' is available now on Six Degrees Records.